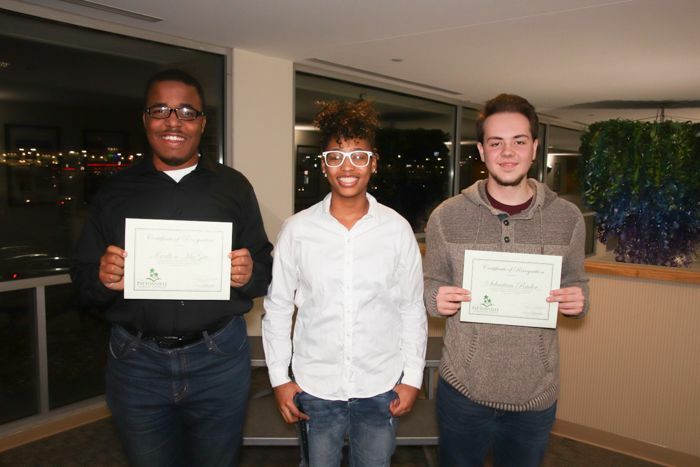 Read about the students and staff who were recognized at the Dec. 11 Board of Education meeting. Eighth-grader August Linenbroker was selected to the All-Suburban Honor Concert Band. He is directed by teacher Andrew Smith. Holman students selected to the All-Suburban Honor Jazz Band were eighth-graders Jack Caesar for trombone and Max McFarland for trumpet. Both were also invited to the Honors Concert Band, but chose to participate in the jazz band. Other students selected to the All-Suburban Honor Concert Band were Anna Burke as second chair bass clarinet, Lillian Cave for clarinet and Sydney Suvansri as first chair clarinet. They are directed by teachers Adam Hall and Steve White. Members of the Holman orchestra selected to the All-Suburban Honors Orchestra were sixth-graders Matthew Cutrell and Addison Gutschenritter for violin and sixth-graders Carter Gray and Logan Monroe and eighth-grader Aaron Wolz for viola. The orchestra is directed by Irena Goren-Scheer. Eighth-grader Patrick Ferguson was selected to the All-Suburban Middle School Honor Concert Band. He is directed by teacher Abby Hall. 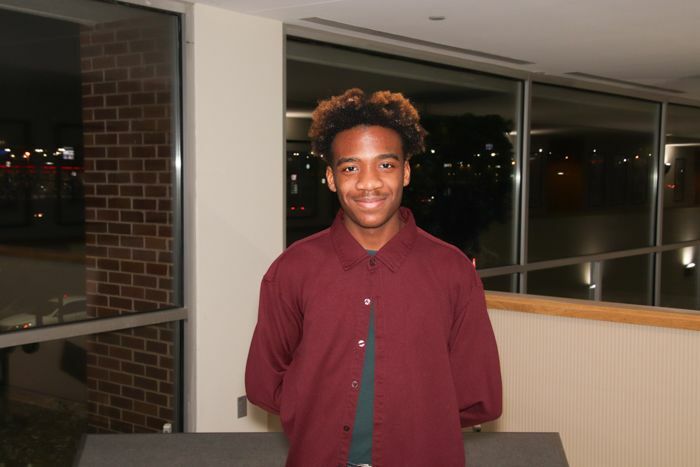 Senior Terrell Henderson was selected to be the first alternate in the United States Senate Youth Program. The week-long government and leadership education program takes places in Washington, D.C. in March. Participants will have the opportunity to interact with the highest-level officials from each branch of the government, including a U.S. Supreme Court justice. Only two students from Missouri - and one of about 100 nationwide – are selected to participate in the program. As alternate, Henderson will attend if one of the Missouri delegates is unable to attend. Several students from Pattonville High School submitted artwork to the 100 Neediest Cases art contest sponsored by the St. Louis Post-Dispatch and United Way. Art by Kyra Correa was selected to be among the top 40 entries and appeared in the Post-Dispatch print and online editions. In addition, Elizabeth Adler, Tyler Martin, Karlton McGee, Sebastian Rader and Sydney Witherspoon had artwork on display at the Missouri History Museum as part of the 100 Neediest Cases program. The Neediest Cases campaign has helped thousands of disadvantaged families during the holidays, with the Post highlighting 100 to raise awareness and encourage donations for thousands of needy families. A studio art piece by Celia Friedrich was named Best of Show and she earned first place for printmaking in the Young Artists and Their Teachers exhibit at Lindenwood University. Other first-place honorees were Elmira Aladinova in 3D for her ceramics piece and Michael Chien for photography. Emily Schrumpf placed third for her printmaking piece. Other students whose art was on display were Victoria English, Jefferson Lopez and Shelby Price for drawing; Cole Brown and Emily Gamache for sculpture; Randy Hartmann for printmaking; and Vince Costa for studio art. These students are taught by Danielle Adams, Kelli Dornfeld, Scott Fader, Beth Kathriner and Marcia Mueller. 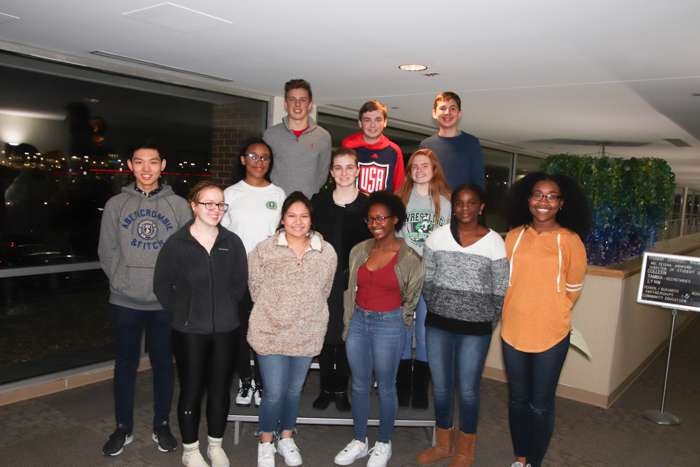 During first semester, Pattonville’s speech and debate teams competed at seven competitions, and several students earned awards. Jailah Broadway placed sixth in original oratory at the Clayton Varsity Fall Classic. Sarah Burke placed fifth in storytelling at the Greater St. Louis Conference Tournament No. 1 and at the Greater St. Louis Conference Tournament No. 2; she also placed first in humorous interpretation and was part of the team that placed third in overall sweepstakes at the Francis Howell North Events Tournament. Victor Kirkwood placed seventh in novice radio speaking at the Parkway West Fall Classic. Eden Magana Lopez placed fourth in poetry at the Greater St. Louis Conference Tournament No. 2 and third in program of oral interpretation at Clayton and was on the team that placed third in overall sweepstakes at Francis Howell. Will Polster placed fifth in domestic extemporaneous speaking and fifth in informative speaking at the Greater St. Louis Conference Tournament No. 1; first in U.S. extemporaneous speaking, sixth in informative speaking and third in public forum debate at the Greater St. Louis Conference Tournament No. 2; first in informative speaking and second in U.S. extemporaneous speaking and was part of the team that placed third in overall sweepstakes at Francis Howell; and third in champ public forum debate at Clayton. Nolan Prebianca placed fifth in radio speaking at the Greater St. Louis Conference Tournament No. 1; sixth in radio speaking and third in public forum debate at the Greater St. Louis Conference Tournament No. 2; fifth in humorous interpretation and was part of the team that placed third in overall sweepstakes at Francis Howell; and third in champ public forum debate at Clayton. Brittany Strasburger placed third in varsity dramatic interpretation at Parkway West and third in interpretation and fourth in storytelling at the Greater St. Louis Conference Tournament No. 1. She also placed third in storytelling and fifth in dramatic interpretation and was part of the team that placed third in overall sweepstakes at Francis Howell . Belle Tucci placed fourth in informative speaking at the Greater St. Louis Conference Tournament No. 2 and fourth in informative speaking and sixth in U.S. extemporaneous speaking and was part of the team that placed third in overall sweepstakes at Francis Howell. Camilla Wilkerson placed fifth in informative speaking and was part of the team that placed third in overall sweepstakes at Francis Howell. Devin Zahner placed first in varsity public forum debate at the Troy Buchanan Debate Tournament and fourth in international extemporaneous speaking and was part of the team that placed third in overall sweepstakes at Francis Howell. Edmond Zhang placed first in varsity public forum debate at Troy Buchanan. In addition, Wyatt Martin, Griffin Taylor and Britney Wallace were semifinalists in duet improvisational acting at the Ladue Novice Invitational. Other members of the team that placed third in overall sweepstakes at the Francis Howell Events Tournament were Mya Harris, Emily Lu, Tajh Martin, Kristinne Pacheco, Meredith Stroud and Zoe Wallace. The speech and debate team is coached by Jennifer Raymond, who earned the 2017-2018 Leading Chapter Award from the National Speech and Debate Association in the Eastern Missouri District. Junior Thomas McFarland finished in the top 3 in the state and was selected to the All-State Jazz Band for vibes. I n addition, nine students were selected for honors bands. Selected for the All-Suburban Concert Band were Natalie Baugher as first chair tuba and Chad Jones as first alternate for tuba. Other students were selected for the All-Suburban Jazz Band for the following instruments: Layla Dukes for trumpet; Abby Twyman for baritone sax; and Trevor Vigus for trumpet. In addition, the following students were selected as alternates for the All-Suburban Jazz Band: Leslie Azwell for alto sax; Alex Newett for trumpet; DJ Smith for bass and second bass alternate for the All-Suburban Orchestra; and Savanna Wooten for bass trombone. The band is directed by Denny McFarland, Sara Deutschmann and Anna White. Senior Abby Surlet was selected to participate in the All-State Orchestra for bass. Only eight seats were available. She was also selected as principal bass for the All-Suburban Orchestra. Six other members of Pattonville’s orchestra were selected to the All-Suburban Orchestra. Natalie Young was selected as first chair violin and viola and chose to play violin. Jade Boyd was selected as second chair violin. Other students selected for the All-Suburban Orchestra are Nathan Moser for viola and Lacey Harder for bass. Will Skaggs was selected as bass second alternate. The orchestra is directed by Michael Dunsmoor. 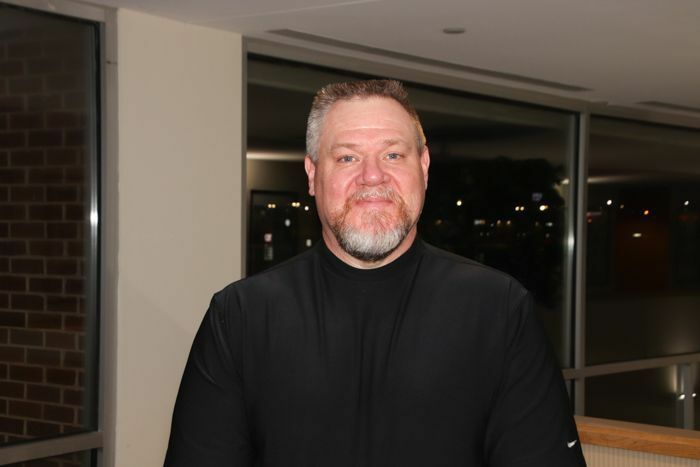 Pattonville High School social studies teacher Doug Newton was recognized at the state level by VFW Post 3944 for the Smart/Maher VFW National Citizenship Education Teacher Award. He will now advance to the VFW National Headquarters for consideration in the national awards contest. This teacher of the year award recognizes the nation’s top classroom elementary, junior high and high school teachers who regularly teach citizenship education, American history and the nation's traditions.